"If the Head had to suffer such torture, anguish, misery, and pain, how shall his servants, children, and members expect peace and freedom as to their flesh?" "The error of the cursed sect of the Anabaptists … would doubtless be and remain extirpated, were it not that a former priest Menno Symons … has misled many simple and innocent people," complained a letter to the regent of the Netherlands in 1541. "To seize and apprehend this man we have offered a large sum of money, but until now with no success. Therefore we have entertained the thought of offering and promising pardon and mercy to a few who have been misled … if they would bring about the imprisonment of the said Menno Symons." Holy Roman Emperor Charles V joined in the hunt, offering 100 gold guilders for Menno's arrest. One Dutch man was broken on the wheel and executed merely for allowing Menno to stay with him. But the former priest, a pacifist armed with ideas but no weapons, was never caught. Instead, he led the Anabaptists out of their radical, violent, millennialist fantasies into a moderate, devotional, pacifist movement. Neither the first nor the most original interpreter of the radical Reformation's Anabaptism, he was such an outstanding leader that the movement today is known by his name: Mennonites. Little is known about Menno's early life until his ordination as a priest at age 28. Though educated in a monastic school and trained for ministry, he had never even touched the Scriptures. "I feared if I should read them they would mislead me," he later wrote. "Behold! Such a stupid preacher was I for nearly two years." After those two years, he had a crisis of faith. The bread and wine he dispensed at each Mass did not seem to transubstantiate into Christ's body and blood as Roman Catholic doctrine taught. He figured such thoughts had been suggested by the Devil, and prayed for God to ward them off. "Yet, I could not be freed from this thought," he wrote. "Finally, I got the idea to examine the New Testament diligently. I had not gone very far when I discovered that we were deceived, and my conscience, troubled on account of the aforementioned bread, was quickly relieved." Believing the Bible to be authoritative, Menno developed the reputation as an "evangelical" preacher. "Everyone sought and desired me," he recounted. "It was said that I preached the Word of God and was a good fellow." But to Menno, it was a lie; his life was still empty and full of "diversions" like gambling and drinking. Three years later, an otherwise unknown Leeuwarden Anabaptist was beheaded, sending Menno into another spiritual crisis. "It sounded very strange to me to hear of a second baptism," he wrote. "I examined the Scriptures diligently and pondered them earnestly but could find no report of infant baptism." Again, he wrote, "I realized that we were deceived." But his life changed little: "I spoke much concerning the Word of the Lord, without spirituality or love, as all hypocrites do." Eventually, he was hit with a final crisis. Three hundred violent Anabaptists, dreaming of the imminent end of the world and attempting to escape persecution, captured a nearby town—and were savagely killed by the authorities. Among the dead was Menno's brother, Peter. "I saw that these zealous children, although in error, willingly gave their lives and their estates for their doctrine and faith … But I myself continued in my comfortable life and acknowledged abominations simply in order that I might enjoy comfort and escape the cross of Christ." The realization led to an emotional, tearful cry to God for forgiveness. For nine months thereafter he essentially preached Anabaptist doctrine from his Catholic pulpit, until he finally left the church and (a year later) fully cast his lot with the radical Reformers. 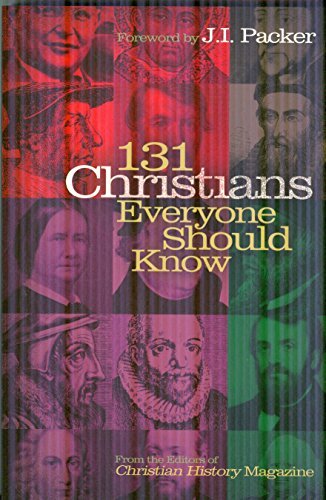 At the time, however, Anabaptists were unloved by all. Even Protestant Reformers like Martin Luther and John Calvin opposed them as "fanatics," "scatterbrains," and "asses"—just as bad as the papists. Those feelings weren't helped in 1535 when a despotic Anabaptist leader took over the town of Münster, ruling as a cruel theocratic dictator until Catholic and Protestant troops overran the city in bloody battle. Menno was as worried about the violent Anabaptists as anyone and had even tried to stem their fanaticism as a priest. Sympathetic, he knew they had zeal without knowledge. But once he left the Catholic church, he met a group of peaceful Anabaptists who strongly opposed Münsterite thinking. He joined them and was ordained. For the rest of his life, Menno (and, later, his wife and his children) lived in constant danger as heretics. He traveled throughout the Netherlands and Germany, writing extensively and establishing a printing press to circulate Anabaptist teaching. He took the Bible extremely literally, sometimes even legalistically; though he defended the doctrine of the Trinity in a small book, he refused to use the term because it did not appear in Scripture. His writings aren't the most articulate Anabaptist theological treatises, nor are they the first. But they served to defend the faith against both Catholic and Protestant attacks and to distance the group from more zealous militants. In one of his first writings, The Blasphemy of Jan van Leyden, Menno opposed the unchristlike "proponents of the sword philosophy": "It is forbidden to us to fight with physical weapons … This only would I learn of you whether you are baptized on the sword or on the Cross?" The Christian's duty was to suffer, not fight, Menno believed. "If the Head had to suffer such torture, anguish, misery, and pain," he asked, "how shall his servants, children, and members expect peace and freedom as to their flesh?" In his later years, he was occupied with other internal Mennonite struggles, mainly over shunning excommunicated church members. But in each of his writings (more than 40 survive), he began by quoting Paul's letter to the Corinthians: "No other foundation can any one lay than that which is laid, which is Jesus Christ." He finally laid his pen down at age 66, as he became ill on the twenty-fifth anniversary of his renunciation of the Catholic church. The next day, he died a natural death. Today nearly 900,000 Mennonites follow his teachings.